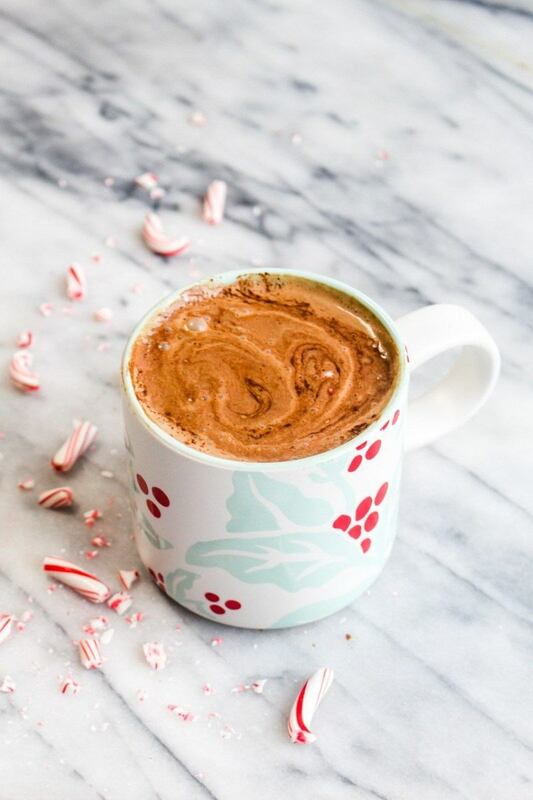 This 5 ingredient Healthy Peppermint Mocha is a naturally sweetened, paleo, and vegan drink recipe that tastes just like the one at Starbucks! Add the almond milk and dates to a pot. Heat over medium high heat until it simmers. Pour it into a high speed blender. Add the remaining ingredients and blend until the mixture is frothy and the dates are liquified. Pour into two mugs and serve!